Baylor #1? Maybe they are the best team in the land. But with what they have faced this year in college football you won’t see me putting the Bears in the top spot in the country. In fact, if they win out, there might not be any love lost on them when the final four are picked. They have played so many crappy teams that an undefeated season might not get them in even over a one loss team from another conference. When it is all said and done, wins over Oklahoma, Oklahoma State, and even TCU may not be impressive enough. The Bears need to hope that OSU or TCU only lose one game, to them. A résumé with wins over their poor non-conference schedule could do them in again. Someone in Waco needs to look at games against Lamar, SMU, and the Sisters of Mary of the Plains (I won’t mention that other lower Division team). And I don’t even know if Coach Art Briles has scheduled the Sisters but given a chance, I am sure he would. And the kicker? Baylor “MIGHT” be the best in the country. 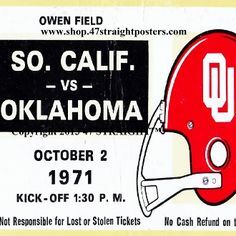 Lets revisit history-1971, Big 8 Conference-the Oklahoma Sooners (why OU in 71? They had the greatest running offense in the history of college football, ever. Some say that this Baylor team might be the best offense ever, run or pass, and they might be. OU started off with a win at home over SMU, a 30-0 blanking by the Sooners. OU was rated #10 pre-season. That win followed with a 55-29 win at Pittsburgh……not a Lamar or some lower division team like Baylor likes to schedule, but a major college team Pittsburgh Panthers. In week three in Norman, OU, now #8, entertained #17 USC, a true power of the day, anyday. OU takes the Trojans out 33-20 as USC has no clue in stopping the wishbone. The 2nd Saturday of October comes and in the Cotton Bowl OU is still #8 and Texas is undefeated and ranked #3. 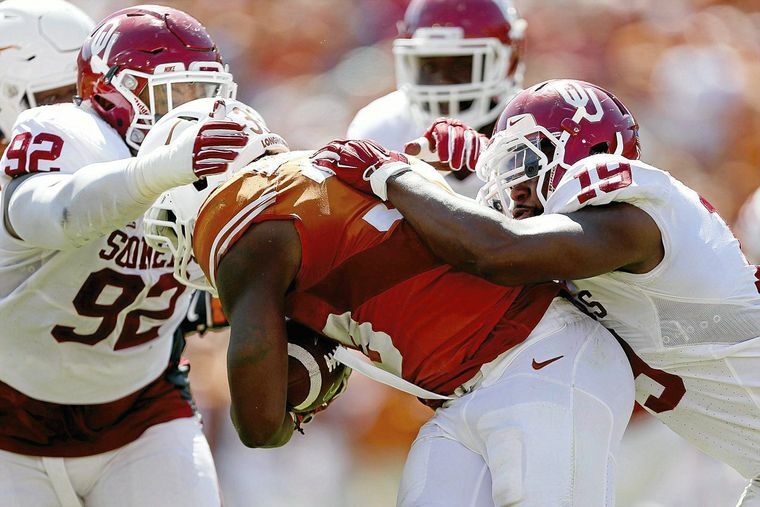 Sooners maul the Horns 48-27 as UT, who knows how to stop a wishbone, can’t. Sooners move up to #2 to play Colorado in Norman the following week in Norman as the Buffs are also without a loss and ranked #6. Sooner rout the Buffalos 45-17. The win puts OU at 5-0 with wins over top flight competition, including three Top 20 teams. Now compare that with what Baylor has accomplished this year. Deserve your rank? Is that something new? Baylor has done nothing this year of note. In time they will, but right now? No. The Sooners went on to finish 2nd in 1971 to Nebraska (loss in the Game of the Century) and a win in the Sugar Bowl over #5 Auburn) secured that spot in the final rankings. Colorado finished 3rd in the nation that year, with OU second and Nebraska the National Champs. The greatest year for one conference in college football history. Compare OU’s 1971 schedule and Baylor’s 2015 schedule. The Bears are good, but they, in my opinion, are fakes when it comes to playing big boy football. Now what was that big BCS win Baylor had in their history? Oh. 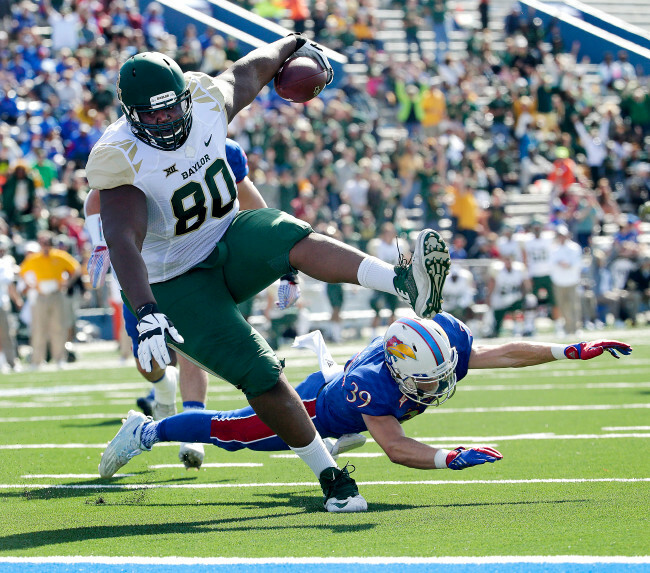 Baylor played something called Kansas this past Saturday. Kansas needs to re-examine its football program. Give me Emporia State down the road and I might just give Emporia State 7 and pick them. Baylor’s run rule on the Jayhawks was not good for Big 12 football, as it could be one of many games that keep an undefeated Bear bunch in 5th in the Committee’s vote. Give me a vote and I sure wouldn’t give BU any credit for that win. Maybe I’d take the Sister’s over KU too. Oklahoma State’s Mike Gundy has been my coach of the year for the first part of the season. When you win consistency in the last few minutes (seconds), you have a team that is together, and know what it takes to pull off the W. It’s no mistake that Gundy has played it close to the vest to get OSU in line to win these games. Against a game West Virginia, it took a 4th down rush by JW Walsh to put the Pokes up in OT and allow the defense (best in the Big 12) to shut the Mountaineers down on their OT try. Gundy skipped a field goal to score the 6 and that has been the most aggressive call for him this year. He did it at the right time. Going for another field goal earlier in the game down deep in West Virginia territory was also key. Three points in a defensive game is always a go. Never discount 3 when you could come up fresh out. A lesson learned by the best of coaches. 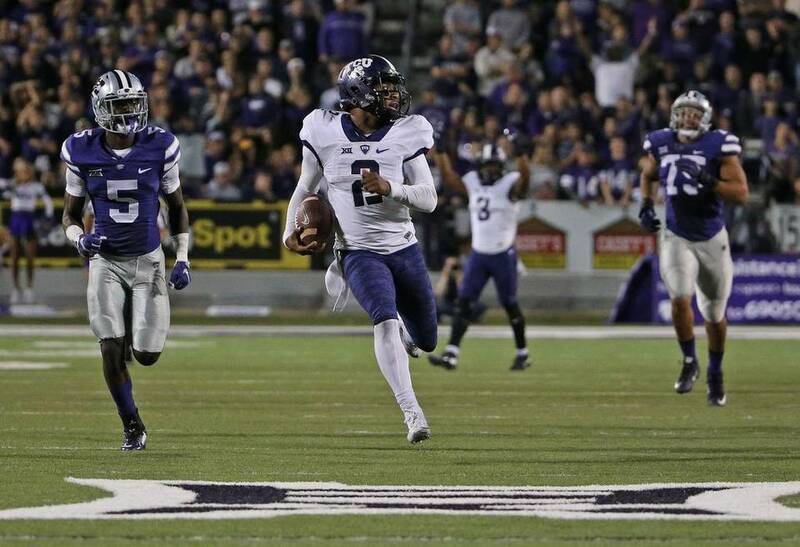 I took some flack picking Kansas State to upset TCU. Close but no cigar. But I am sure a lot of my TCU friends were sweating bullets Saturday night. Again, a masterful game plan by Coach Snyder, but K-State is a player short on defense. As for TCU, the determination to pull it out was magnificent. TCU is a winner and I will give credit where credit is due. Patterson, your kids played with emotion in that second half and your talent, even if it is a lot of reserves that are having to play on defense, is better than good. The Frogs are going to tougher places later on (Stillwater, Norman) but I will have reservations picking against that offense. With Baylor, the numbers will be staggering, and even with a somewhat giving defense, it’s a pick’em right now. Texas Tech’s Pat Mahomes is the best quarterback that is not on anyone’s radar. 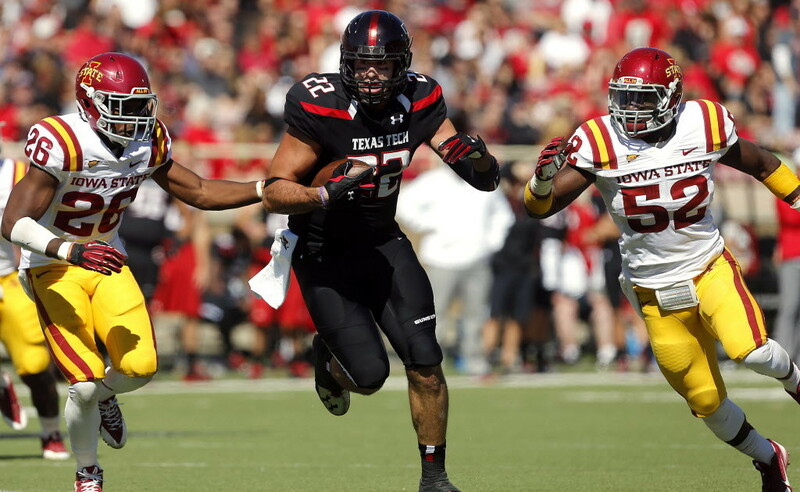 Tech’s rout over Iowa State showed he is the real deal. Kingsbury has that offense going and any team going into Lubbock will have a fight on their hands. Okie State and Tech in Lubbock will be one hell-of-a-game. Can’t wait. From a previous post my take on OU/Texas: I didn’t see it coming (UT’s win over OU, I had OU in a rout). But after thinking about today’s game in the Cotton Bowl, I can look back and say what I watched was not surprising. Texas, a 1-4 football team, was markedly better on this day, dominating in both lines, offense and defense, with an added component that the coaching staff in Austin did the better job in preparing for this classic confrontation. Texas wins 24-17 and Coach Strong needed this win as much as any he will coach in his career. Remarks: Won’t rank Texas higher as they have 4 losses and more to come. 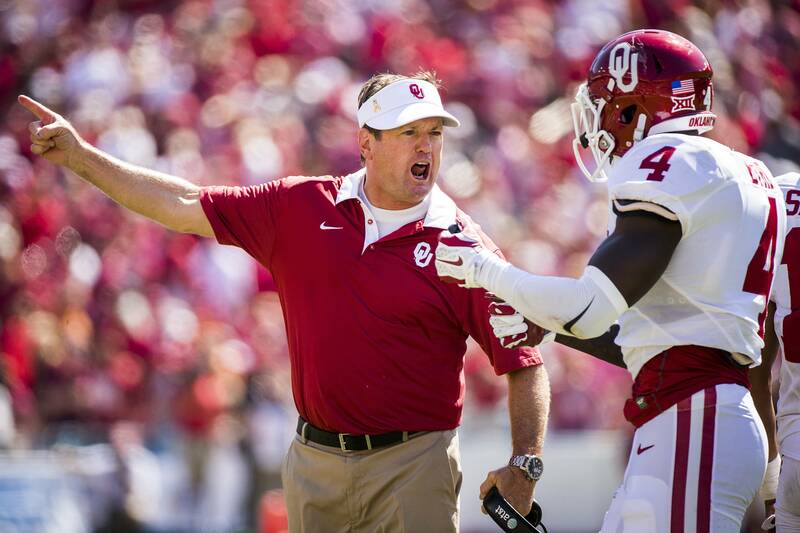 Sooners have a tough schedule of games and need to win their home games to stay afloat. TCU comes to mind. Tech is a “B” in Lubbock. TCU and Baylor will settle it on the field but don’t believe it is a given they won’t lose another Big 12 game. I think the Big 12 Champ will have at least one loss, maybe two. Okla. State has a leg up with two road wins in conference and that is significant. They could lose at Tech and still get a piece of the Championship because they get OU, Baylor and TCU in Stillwater. When you have the best defense in the league it gives you a chance against those three. Right now, they would be favored over OU, a pick’em with the Frogs, and a touchdown to 10 point dog to Baylor. My opinion, the Pokes will not be easy to beat in at home and I am sure Briles remembered what happened a couple year ago on the road at OSU with that undefeated Baylor team. West Virginia will have a big win down the road. They are an excellent team still trying to limit mistakes. They will. Forget ISU and KU. Kansas State will give OU all they want Saturday and if OU doesn’t get their head out of the sand the Wildcats win and it won’t be an upset if you want my uneducated opinion. Fred, TCU had two road wins in conference as well and when you pick apart those wins Tech & KSU you find that they scored 17 and 14 points respectively on drives that were not extended by penalties on the TCU defense. If TCU can stop shooting themselves in the foot, the only team with a chance to run with them is Baylor. good observation…..comments appreciated. TCU is getting better on D even after Saturday’s game….